What is the Catholic view on death and the afterlife ? 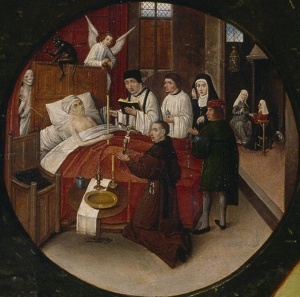 Catholicism distinguishes between two kinds of judgements at death. The first is the Particular judgement, determining the fate of the soul at death, and secondly, the General judgement, which will occur when Christ returns and is upon mankind as a whole. Entrance into Heaven may be direct or via Purgatory (see below). In either case, one must be free of all sin to qualify. Those who see God face to face are said to have received the ‘Beatific Vision’. The Catholic view is that, on death those souls who die with unremitted mortal sin enter directly into hell. There is no cross-over between heaven and hell, nor is there any predestination to hell. 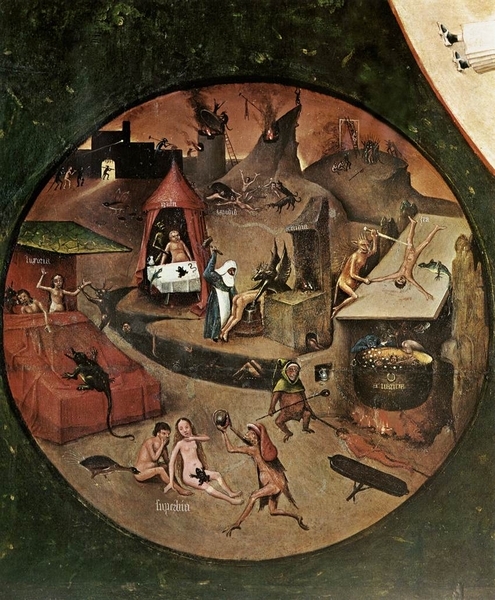 Hell is seen as a place chosen by those who knowingly and willfully turn away from God. 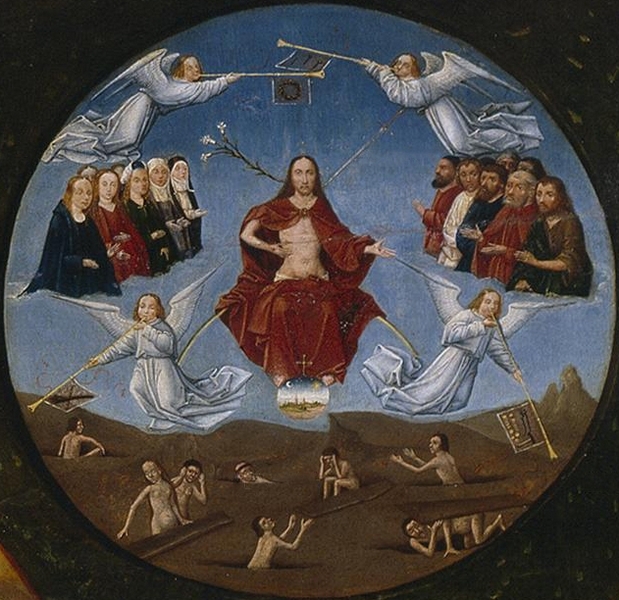 Catholic theology regards Purgatory as a state of cleansing and preparation for heaven. Only those with unremitted venial sins may enter Purgatory. Unconfessed or unrepented mortal sin is considered damnable. The verse above talks of ‘fire’ and this is taken to refer to the purifying fires of Purgatory which unite the will of the soul to that of God. It is thought that the duration spent there is proportional to the degree of sin committed. By praying for them (including saying the Rosary) and thus obtaining an Indulgence*. Also, on 2 November, the church sets aside a special day (‘All Souls Day’) to remember those who have died and are now in Purgatory. By offering a Mass on their behalf (Recall the fact that the Mass is seen as a sacrifice for sin, effective not only for the living, but also for the dead). * We discuss Indulgences in the section ‘Moral Issues’. 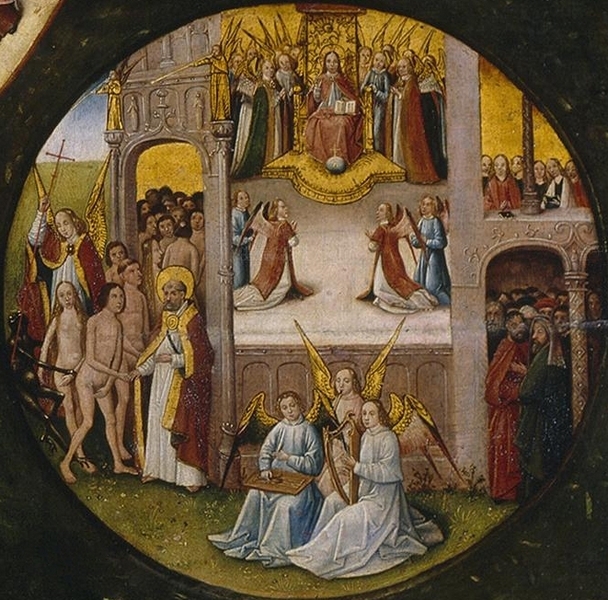 Purgatory should be distinguished from Limbo, an intermediate state posited for those (especially children and newborn infants) who die while unbaptised and in a ‘state of grace’. The church has not as yet made any official statements on the existence of Limbo, but many incline toward rejecting it. There is also a “Limbo of the Fathers”, which is also known as “Abraham’s Bosom”, denoting a place where the righteous who died before Christ came to earth dwelled while awaiting their final destiny in heaven (See Luke 16:19-31). 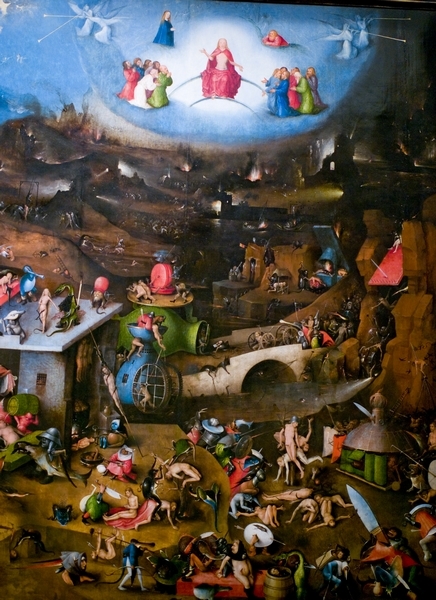 Thomas Aquinas described the limbo of children as an “eternal state of natural joy” in which unbaptised children were unaware of the greater joy of Heaven. However, the Catechism states that: “As regards children who have died without Baptism, the Church can only entrust them to the mercy of God….” (Paragraph 1261). 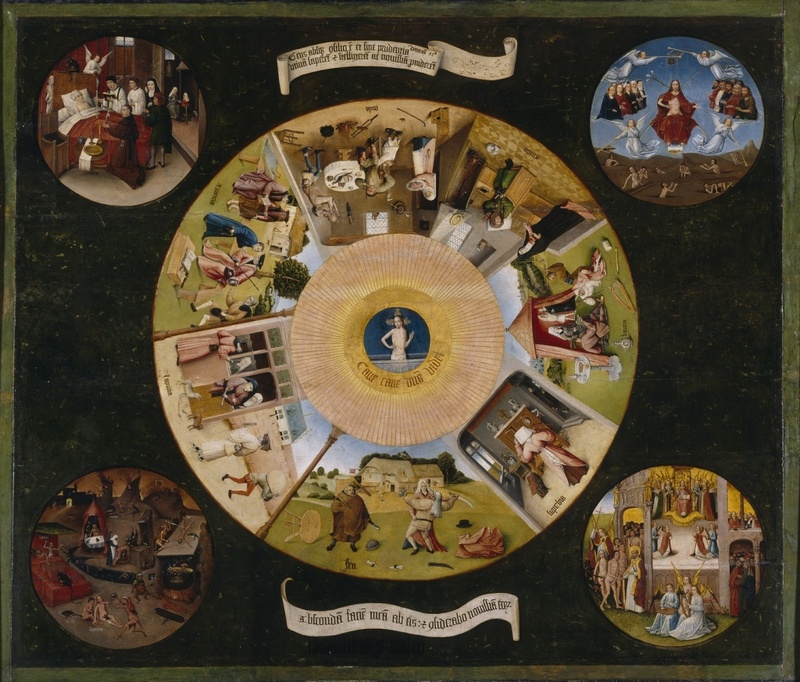 The Seven Deadly Sins and Four Last Things by Hieronymus Bosch.